Welcome to BoxesAndPorcelain.com. 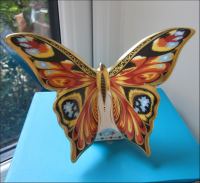 With over 35 years experience in the Antiques Trade, where we have exhibited at Antique Fairs in London and the southeast of England, it is now our aim to provide a range of fine antique boxes and porcelain to a wider clientele. Most of the boxes and the early pieces of porcelain have been hand-picked from private U.K. collections and are of the highest quality and condition. 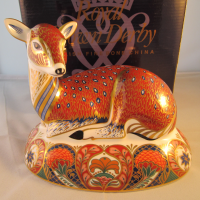 In recent years we have also extended our range of Royal Crown Derby to include the very popular paperweights. We have a large base of satisfied customers in the United Kingdom and Europe and are now striving to offer the same service to a wider global clientele. You will be able to find detailed descriptions, images and further information within these pages and please use this link to contact us at any time; we are here to answer your questions. 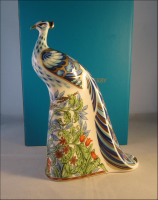 Royal Crown Derby Paperweight "Golden Eagle"
Royal Crown Derby Paperweight "Peacock Butterfly"
Royal Crown Derby Paperweight "Manor Peacock"
Click on any of the thumbnail images above for a full description and further images or click on any of the section titles in the menu bar on the left for further items.